The automakers at Korea’s Kia and Hyundai have sure stepped up their game in the last decade or so, with dramatic improvements in styling and build quality to go along with their feature rich, yet value-priced equipment. This combination has resulted in some great vehicles being made in recent years, not the least of which is the last generation Hyundai Genesis. In fact, the car was so good, that it inspired Hyundai to spawn an entire new luxury brand that bears its name. As the brand continues to build awareness of just how good it really is, they’ve also been building out their portfolio to make them more competitive with the European and Japanese luxury brands. 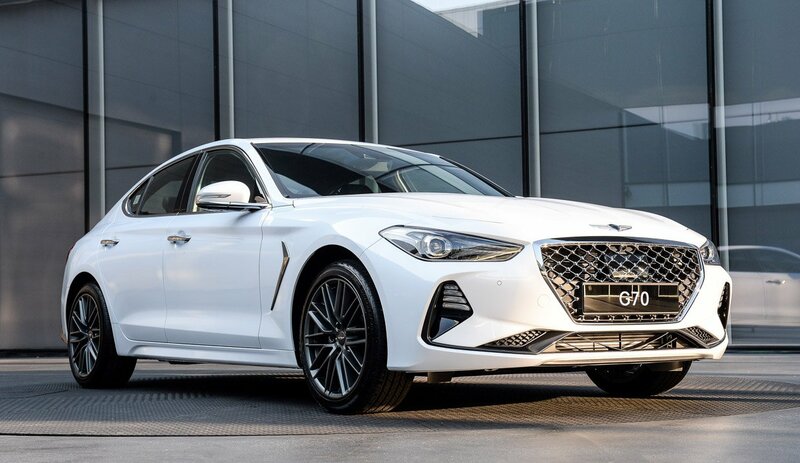 Aside from the original mid-size sedan (now known as the G80), Genesis has since released its full-size G90, and now a small luxury sedan going by the G70 moniker. The car shares platform elements with the gorgeous Kia Stinger GT, but has a distinctively more sophisticated look that’s a bit less sporty, but every bit as appealing. Plus, if you know anything about the relationship between Kia and Hyundai, you know they have access to the same parts bins, but definitely march to the beat of different drummers when it comes to vehicles that share components. 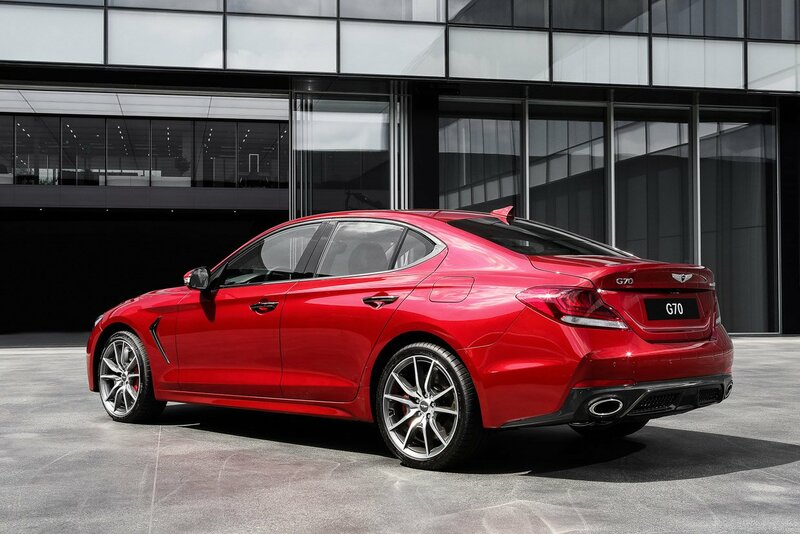 The G70 will be available with a trio of drivetrain options, including a 3.3-liter V6 gas turbo that makes 365 hp and 376 lb-ft. of torque, a 2.0-liter turbo 4 gas engine that makes up to 252 hp and 260 lb-ft. of torque, depending on the package you choose, and a 2.2-liter inline 4 diesel, that produces 199 hp and 325 lb-ft. of torque. Each model will be offered with either rear-wheel or all-wheel drive. Genesis hasn’t said what sort of transmission the G70 will be getting, but the Stinger GT packs an 8-speed automatic, so that’s a good bet here as well. Historically, Genesis (and Hyundai) vehicles haven’t exactly been the most exciting cars to drive, but I think that’s about to change with this model, which is expected to offer a more dynamic and engaging ride than either of its larger brethren. Dimensions for the G70 measure in at 184.4″ long, 72.8″ wide, 55.1″ high, and rides on a 111.6″ wheelbase, putting it head to head with the BMW 3-Series, Jaguar XE, and Mercedes CLA in terms of size. There’s no word yet on curb weight though. Inside, the car will come fitted with premium materials like aluminum door handles and speaker grilles, quilted leather door panels, and Nappa leather seating. Depending on the package and colors you choose, the interior can be either rich and elegant, or bold and sporty. 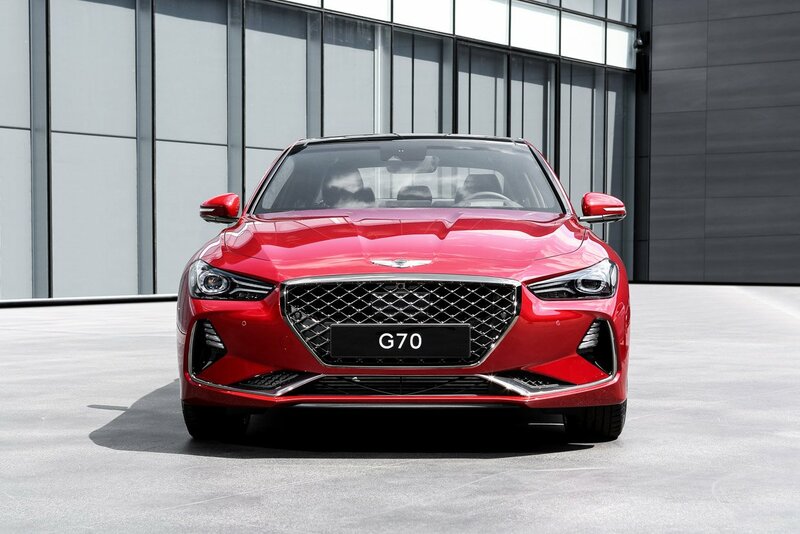 The G70 offers up an extensive suite of tech features, including an 8-inch touchscreen with MirrorLink, Apple CarPlay, and Android Auto support, and a posture control system which dynamically adjusts seating, outside mirror, steering wheel, and HUD position to reduce driver stress. A 15-speaker Lexicon premium audio system is also available. A wide variety of safety systems are also available including ward Collision-Avoidance Assist, Highway Driving Assist, Blind spot Collision Warning, Driver Awareness Warning, as well as an active hood to reduce injury potential to pedestrians. Building upon the best that Hyundai had to offer, the Genesis nameplate might not be one that’s on every street yet, but it should be. They’re making some excellent vehicles which can keep up with the other luxury nameplates, while offering tremendous value, and some of the best warranty coverage you can get. 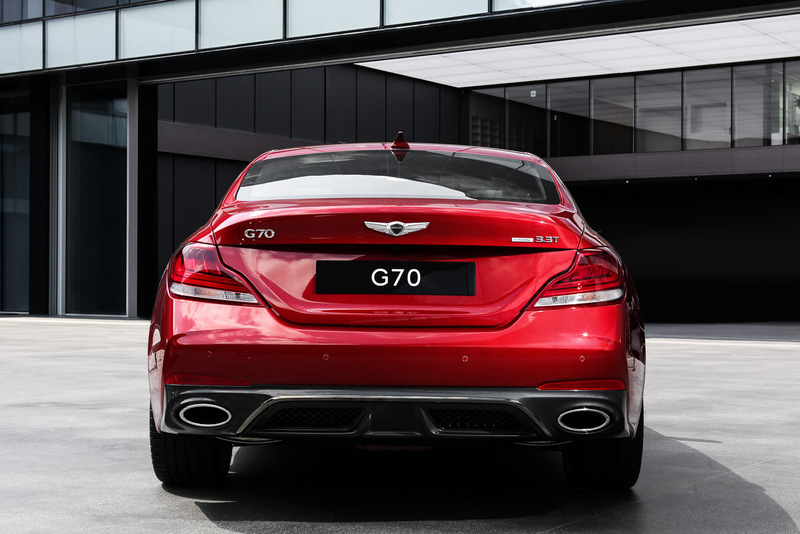 I, for one, am excited to test drive the Genesis G70 when it arrives on US shores sometime in 2018.